casa de caisa: is this coffee? When I first spotted the new Starbucks Discoveries drinks in my local food store, I got so excited, because of the coffee love that I am... But it turned out to be such a big disapointment! This did not taste well. At all. Yuck! But! I'm in love with the packaging design... Although, the containers could have been a tad bit larger. Svar: Om du menar den på bussterminalen vid centralen, så ja! :) Det var gott vanligt kaffe också! 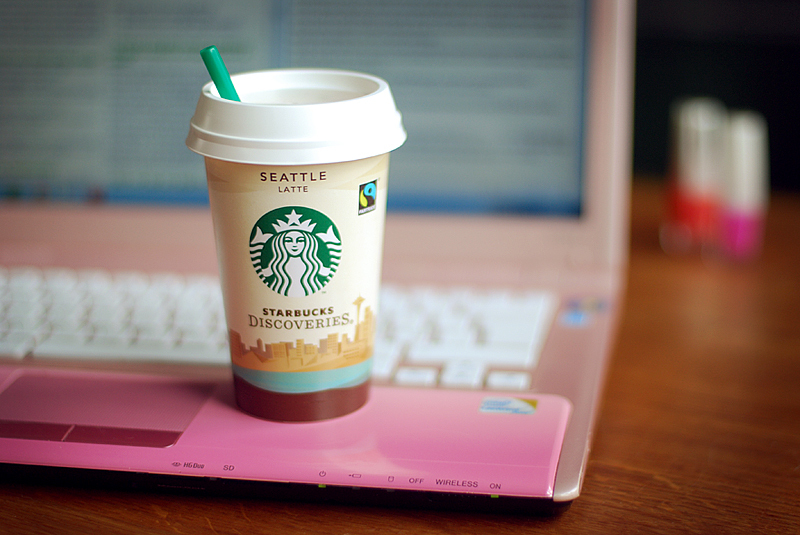 work, work, coffee, work, coffee..